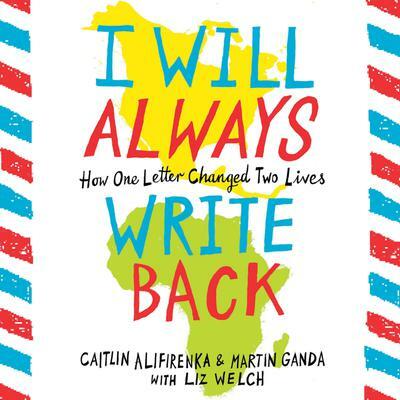 The true story of an all-American girl and a boy from an impoverished city in Zimbabwe and the letter that changed both of their lives forever. It started as an assignment. Everyone in Caitlin's class wrote to an unknown student somewhere in a distant place. All the other kids picked countries like France or Germany, but when Caitlin saw Zimbabwe writer on the board, it sounded like the most exotic place she had ever heard of--so she chose it. In this compelling dual memoir, Caitlin and Martin recount how they became best friends --and better people--through letters. Their story will inspire readers to look beyond their own lives and wonder about the world at large and their place in it.